MATERIALITY explored sound sculpture as a medium to interface physical materials with Ableton music software via Arduino & DIY electronics. Bringing together my love of field recordings, electronics and music production, I researched the sonic and conductive properties of glass & metal materials at London Sculpture Studio & the National Glass Centre resulting in new resonant sculptural instruments & a new physical/digital performance system. I worked with the National Graphene Institute to develop a capacitive controller for Ableton and created an industrial musique concrete sample library from the processes of working with these materials. This blog documents the project process, with live performances of the new sculpture-electronics system taking place at Access Space Sheffield and Music Tech Fest 2018 in Stockholm. A new educational strand was developed around materials/sampling/interface design and electronic music production through development workshops with young women as part of BOTH SIDES NOW with Brighter Sound & GO COMPOSE with Yorkshire Women’s Sound Network. 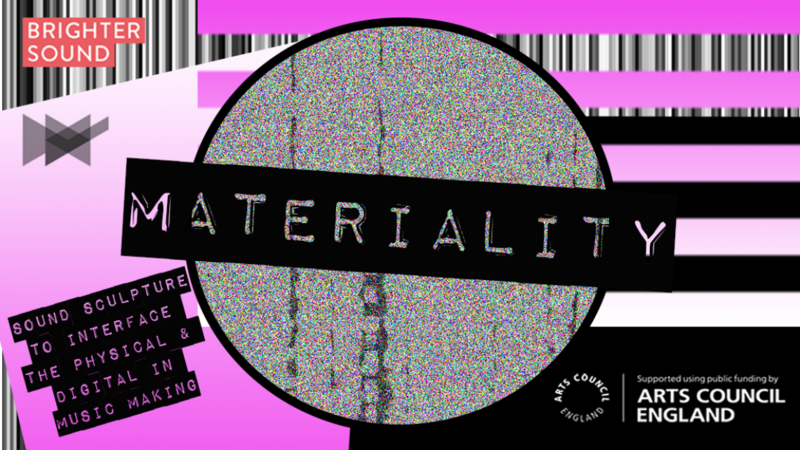 Materiality is funded by Arts Council England and will take place between April and August 2018. Huge thanks to Ableton, James Medd and Eagle Labs and Chris Ball for supporting me on this project. MATERIALITY is a project by Vicky Clarke, sound artist and electronic musician. Materials knowledge: Working with metal and glass and investigate their resonant & capacitive properties. Skills in manipulating these materials. Academic/Contextual: Explore theoretical and conceptual approaches/perspectives, research sound art history particularly musicians and artists making work with non-musical sounds and objects.